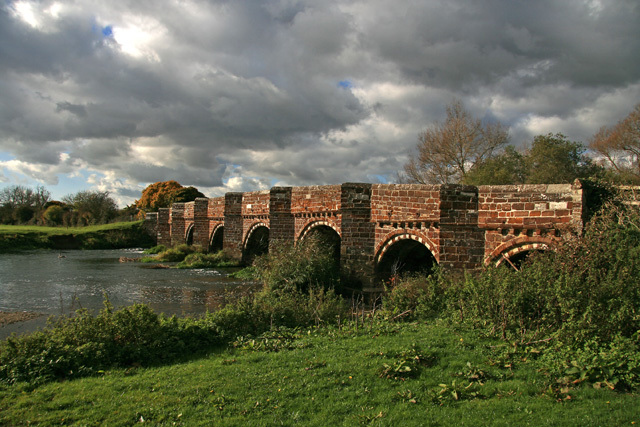 This bridge over the Stour pre-dates the adjacent NT property of White Mill by at least two centuries. Built probably in the C16, the structure has eight arches, with the outer two being flood arches. A Scheduled Ancient Monument, it is Grade I Listed. © Copyright Mike Searle and licensed for reuse under this Creative Commons Licence. This page has been viewed about 167 times.